As part of their project renovating a period apartment, our clients decided to replace the spiral staircase with something more aesthetically pleasing and easier to use. The previous owners had installed a spiral staircase because space was tight but our clients found it too difficult for everyday use and impossible to transport items between floors. 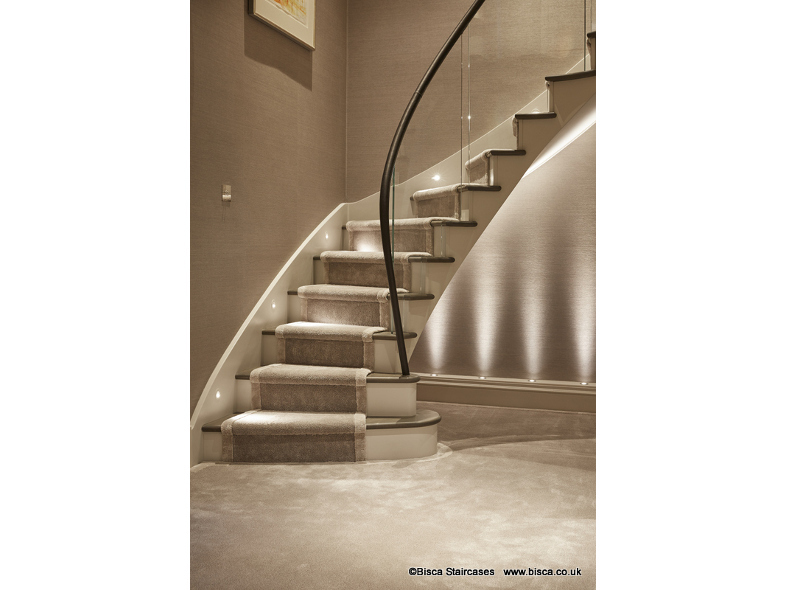 To make the most of the space available, we designed a helical stair flowing down tight against the wall. The client (an interior designer) specified a mix of Oak treads and Tulip Wood risers for the timber that clads the staircase. Prior to carpeting, the timber was treated with Farrow & Ball Ammonite. Without the benefit of external windows to the area, it was important to make the most of the light that did manage to filter through from adjacent living areas on the ground floor and bedroom windows on the first floor. 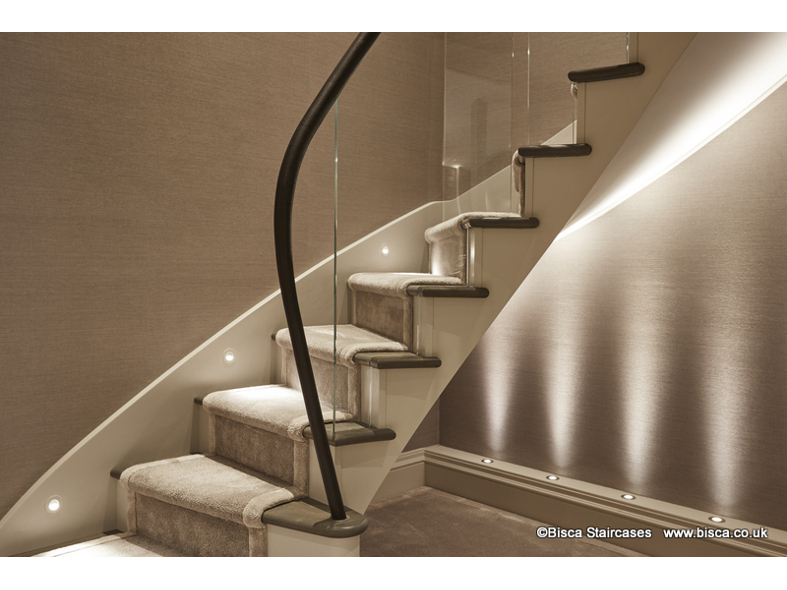 To facilitate maximum flow of light, we used a low iron glass balustrade and black leather clad handrail. The gorgeous carpet runner features a bamboo border and hand made to order by a specialist company. If you think you must have a spiral staircase because of issues with space, think again. 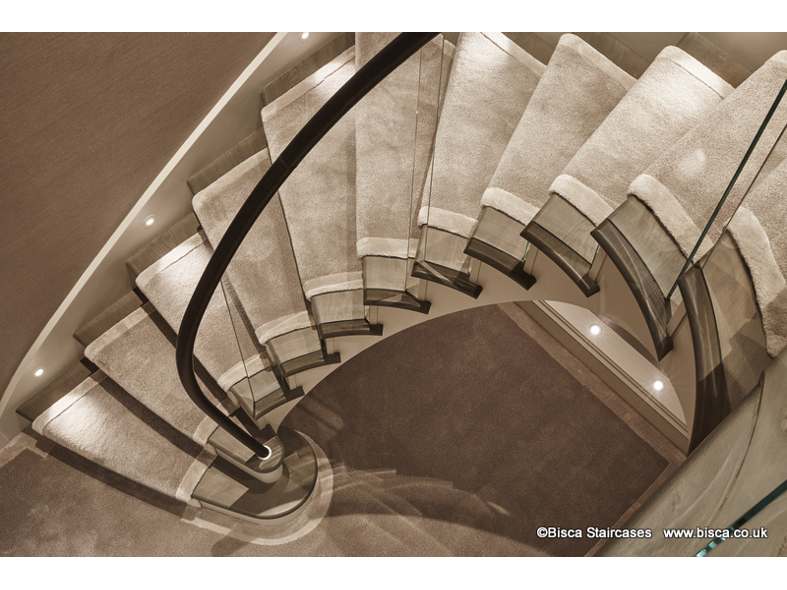 Bisca frequently manage to create a helical staircase in a space designed for a spiral. 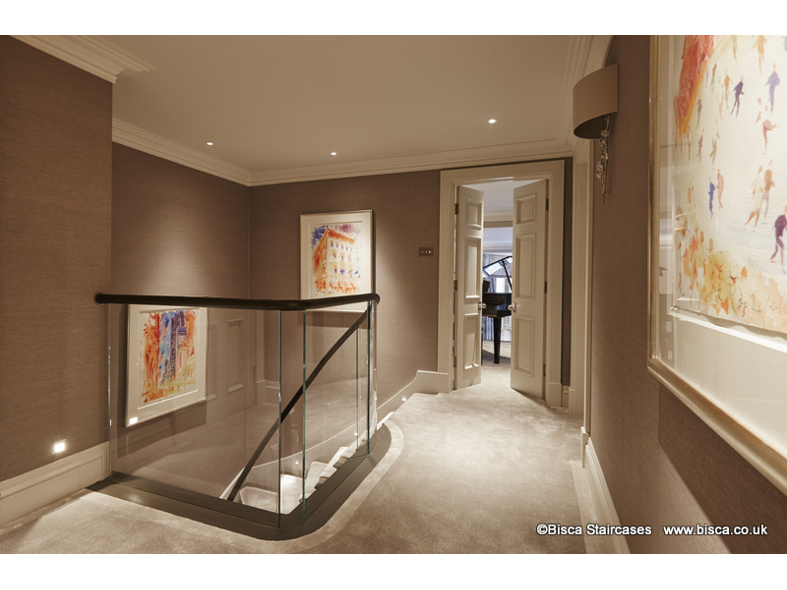 For more information on this apartment staircase, please quote reference 5366.